I have mentioned Poppy’s infatuation with all manner of bags before. 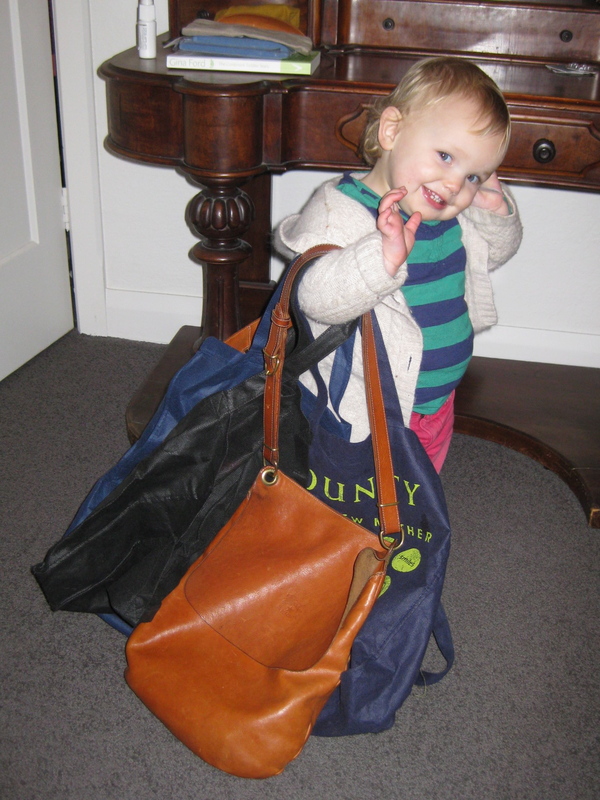 She just LOVES them…even shopping bags, but I am glad she has a couple of leather ones on hand, for good measure! 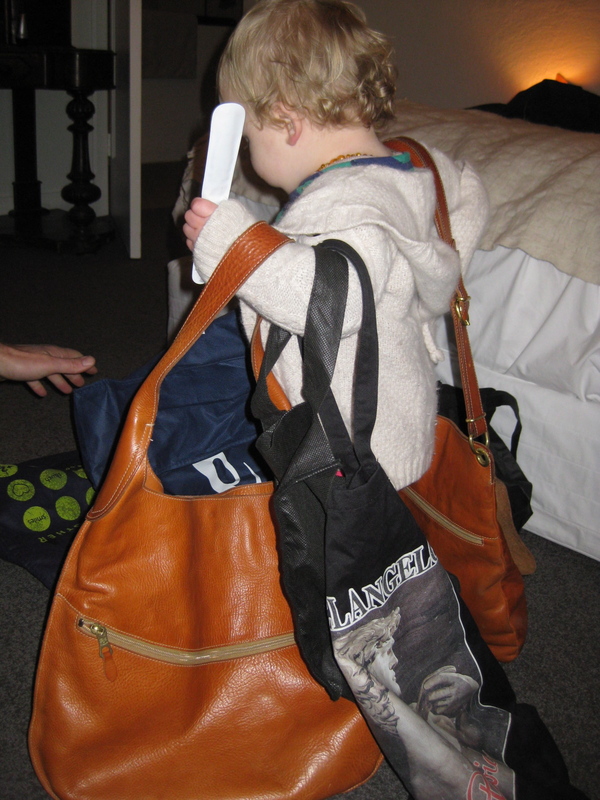 Looks like she is about to head out for a bit of shopping.